WNCDude asked the Networking forum about backing up one computer to another over a local network. What you suggest provides a reasonable degree of safety. It also saves you money, since you don't have to buy an external drive or a subscription to a cloud-based backup service. But it's not a perfect solution. A burglar might steal more than one computer, and a fire could destroy all of them. Another option is to keep all of your relevant data on one computer and access it on the others. You'll still have to backup that one computer, of course. 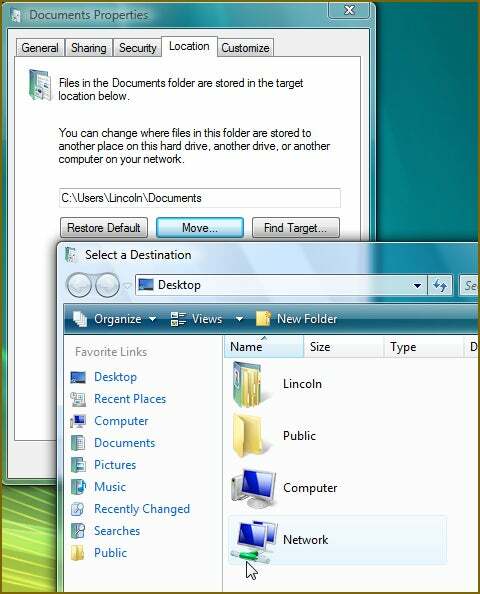 Windows 7 and Vista: Right-click the folder you want to share and select Properties. Click the Sharing tab, then the Advanced Sharing button. Check Share the folder. Click the Permissions button. Check Full Control, Change, and Read in the Allow column. XP: Right-click the folder you want to share and select Properties. Click the Sharing tab. 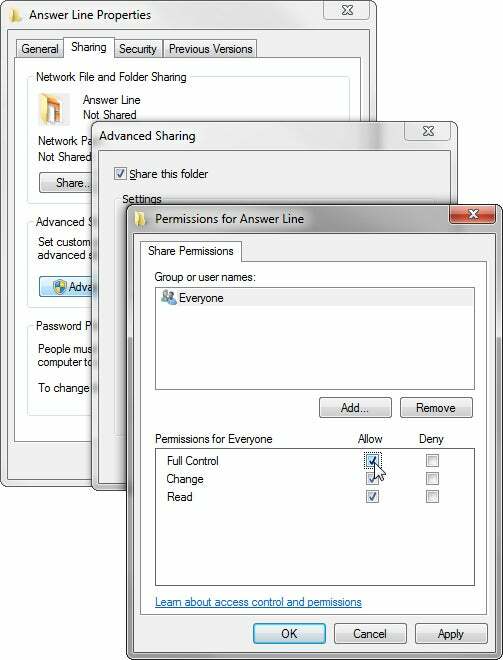 Check Share this folder on the network, then Allow network users to change my files. You can now do a direct backup from one PC to the shared folder on another. Just about any backup program you choose should be able to handle this. The other approach is to keep all of your documents (and possibly your music, photos, and so forth) on one computer. Once again, this involves a shared folder that other people can write to. You can keep all of your documents on one computer simply by remembering to create and save your files on the network folder. But if you don't trust your memory (or your ability to create new habits), you can tell Windows to use this remote location as your My Documents folder. Yes, that works. But this suggestion comes with a serious caveat: If the other computer is turned off or otherwise inaccessible when you're using yours, you're going to have problems. Vista, Windows 7: Click Start, then your logon name at the top of the Start menu's right column. Right-click Documents or My Documents, then select Properties. Click the Location tab. Click the Move button and select your network destination. XP: Click Start, right-click My Documents, and select Properties. On the Target tab, Click Move, and select your network destination. You might also want to consider syncing your files through an Internet-based service like Dropbox. That will illuminate the "turned off" problem, and provide another layer of backup. My thanks to smax013, who provided some extensive suggestions in the original forum discussion.